Fujitsu has a wide range of multiplexers that still have a home in today’s network despite reaching their obsolesce state from the company. 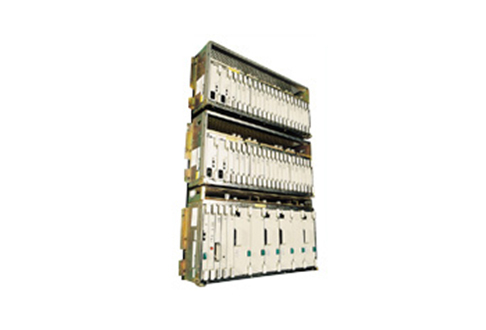 The FLM 2400 ADM is one such add/drop multiplexer with a compact and versatile OC-48 flavor. The Fujitsu FLM 2400 is found commonly in both interexchange and local carrier networks thanks to a smart architecture and design that allows for the incremental, scalable growth of a network as demands of customers increase. Manage costs and keep them in line with revenue as you expand by turning to a 2400 for your budding networks. Enjoy a robust network that can handle a sizable number of input signals with smarter routing and management capabilities so that each single line can manage and grow your service delivery capabilities. Worldwide Supply offers a variety of used and refurbished Fujitsu FLM 2400 units and many other options for your network growth. We provide carriers with the equipment they need to grow and manage cost, further reducing CapEx by ensuring our refurbished goods live up to OEM standards. By working with us, we promise a standard lifetime warranty on all parts and equipment we sell, all backed by quality management systems and testing environments that have helped us achieve TL9000 certification. We set the highest international standards for telecom industry suppliers because we’re able to meet them. Ask us about 24×7 remote technical support programs, fast product deliveries and emergency repair and parts services. We’ll welcome you to the Worldwide Supply Family – why not start with your own refurbished FLM 2400?